Adino Energy Corporation is an emerging oil & gas exploration and production (E&P) company focused on mature, oily assets with significant development, workover and enhanced oil recovery (EOR) potential. We are working to build our reserve base through proved developed producing (PDP) lease acquisitions with low risk development opportunities. Today our production and development operations are in the Permian Basin in West Texas. 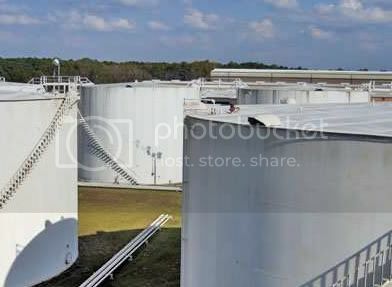 The Company also owns a fuel terminal operation in the Houston area. The terminal is fully leased and produces steady cash flow of $75,000 per month which management is deploying to support the E&P business. Mr. Byrd has served as CEO of ADNY since December 2001 and has played a key role in Adino's acquisition, turnaround and operation of its Fuel Terminaling Business. Previously, Mr. Byrd served as President of Innovative Capital Markets, Inc. (ICM) a capital markets facilitator specializing in bridge financing and equity capital along with advisory services to public and private companies. In 1992, Mr. Byrd founded Specialty Associated Management, Inc. (SAM), a company that specialized in product design and consultation for captive risk markets (captive insurance companies). Beginning in 1991, Mr. Byrd served as President of Trans-Gulf Underwriters, Ltd., a managing general agency specializing in the alternative insurance markets. Mr. Byrd graduated from the University of Southern Mississippi on an athletic scholarship with a Bachelor of Business Administration degree with an emphasis in banking and finance. Mr. McAdams joined Adino Energy in 2010, bringing 14 years of investment banking and principal investor experience. His background includes energy industry transactional and financial advisory work, deal screening, transaction structuring, transaction negotiation, due diligence, and strategic & commercial advice. Prior to joining Adino Energy, Mr. McAdams was a Director at Galway Group where he advised clients on E&P, mid-stream and petroleum distribution transactions as well as shale gas, LNG and geothermal projects. After his military service, he worked for JPMorgan Chase in their investment banking group and later as a buy-side equity analyst in their asset management division. He has worked in transaction origination in a variety of industries including early stage technology, medical products distribution and petroleum distribution. Mr. McAdams is a former U.S. Army Officer and a Chartered Financial Analyst (CFA). He earned his M.B.A. (with honors) from Tulane University with concentrations in Finance and Entrepreneurship, and a B.S. in Interdisciplinary Finance from the University of Alabama where he was a Distinguished Military Graduate..
Mr. Burney started with Intercontinental Fuels (IFL, a subsidiary of Adino Energy) in May of 2006 with a focus on new business development and marketing. He was subsequently promoted to President/CEO/CFO of IFL in May of 2007. Mr. Burney is responsible for day-to-day management of Adino's E&P operations. He obtained a securities license in 1990 and has worked in the institutional bond sales department for an investment banking firm in Houston, Texas. He held a Real Estate Sales License in Texas from 1986-1991, and in Arkansas from 2005 to present. Mr. Burney has over twenty-five years of experience in real estate appraisal. In addition, he has held an Arkansas license as a Certified Residential Appraiser since 1992. Mr. Burney is competent in all phases of acquisition, finance, management, liquidation, and marketing of real estate, as well as contract development, presentation, negotiation, and analysis. On August 19, 2011 there were 111,160,232 shares of common stock outstanding. 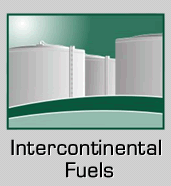 specializes in fuel terminal operations for retail, wholesale, and governmental suppliers. gasoline and diesel fuel, but also offers biodiesel* to the growing green fuels market. Process that will be used to get more oil from older wells. 22,000,000 gallons of jet fuel per month through the pipeline to the airport.